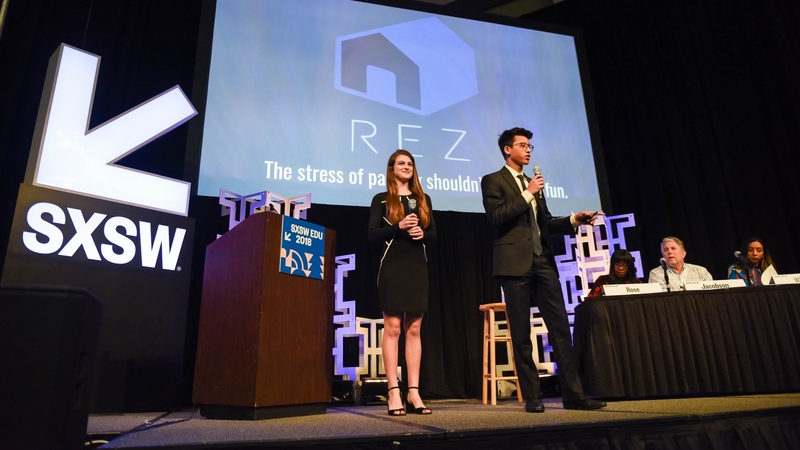 The Student Startup competition application is now open for SXSW EDU 2019! High school students – enter your business idea for a chance to compete in the live pitch event. The competition celebrates students who have the passion, drive, and courage to be the next generation of entrepreneurs. Students are encouraged to think big, and come up with ideas that may exceed their existing skills, network, and resources. All ideas are welcome! The competition is open to all high school students, from the U.S. and beyond, 13 years of age and older. Students may apply as a solo entrepreneur or a team. The deadline to submit an application is Friday, January 11, 2019.
or frequently asked questions and answers about the competition, please review the Student Startup Competition FAQ. SXSW EDU Student Startup Competition, 2018 photo by Tico Mendoza.